This post is adapted from Asking the Right Questions by Dr. Matthew Harmon. It originally appeared on Crossway.org; used with permission. 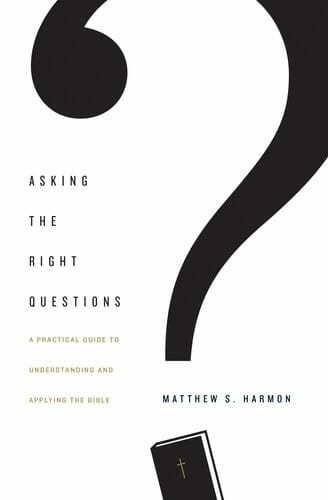 What we get out of the Bible largely depends on the kinds of questions we ask when reading the text. 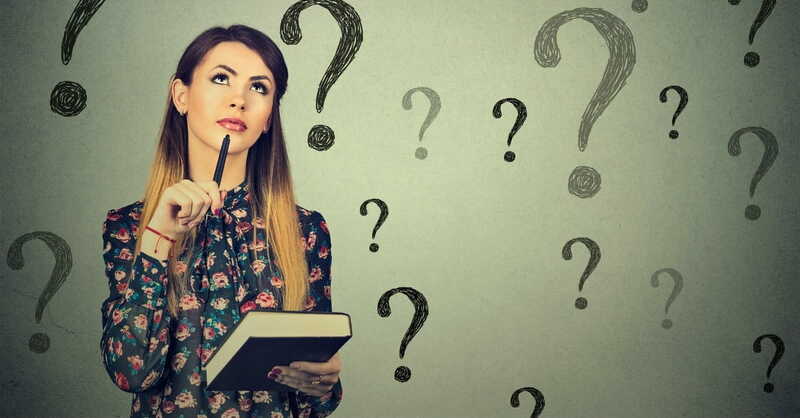 But how do we know what are the right questions to ask? Jesus provided a good starting point when he summarized the two greatest commandments: (1) love God with our whole being, and (2) love our neighbors as ourselves (Matt. 22:34-40). From these two commandments we can ask four basic questions to help us grow in our relationship with God. God is the main character of the Bible, the hero of the story. So it makes sense that the first question we ask is what we learn about him. Scripture reveals who God is in at least three different ways. First, it shows us his character, or his attributes. Sometimes the Bible states these directly (e.g., Isaiah 6:3). At other times you need to infer truths about his character (e.g., 1 Kgs. 22:1-40). Even in a book like Esther, where God is never directly referred to, there is much to learn about him. Second, the Bible shows us God’s conduct. What we see God doing in a passage tells us who he is. A good example is Psalm 23, which describes several things God does for his people: lead, restore, comfort, prepare, and anoint. Paying attention to what God is doing in a passage helps us grow in our understanding of God. Third, Scripture reveals God’s concerns. All throughout the Bible God reveals people and issues he is concerned about, such as those on the margins of society (e.g., Exod. 22:21-22). These concerns give us a window into God’s heart for all people. As you look for God’s character, conduct, and concerns, be sure to keep your eyes open for the three persons of the trinity—Father, Son, and Holy Spirit (e.g. Matt. 28:18-20). Every passage has something to tell us about humanity. Let’s approach this question from three different angles. The first angle is looking in the text for aspects of what it means to be created in the image of God (Gen. 1:26-28). What longings or desires does the passage reveal that are expressions of being made in God’s image? The second angle is to look for the fallen condition(s) it exposes. The fallen condition refers to the sinful beliefs, attitudes, feelings, actions, or tendencies mentioned or implied in the text (e.g., Prov. 6:16-19). As fallen creatures we experience the same kinds of temptations and battles with idolatry described in the text, even if they take different forms in our lives today. The third angle is to look for what our lives should look like as redeemed people. God calls us to live in certain ways, both as individuals and as a body of believers (Acts 2:42-47). Often a passage will either describe or command what this common life together should look like. Loving God with our whole being takes many forms. A good place to begin is considering what we should praise God for (e.g., 1 Pet. 1:3-5). Often this will flow out of what we learn about God—his character, conduct, and concerns. Second, reflect on what sin you need to confess and repent of (1 John 1:5-9). Consider the ways you see the fallen condition at work in your life and confess that to God. What tangible steps of repentance do you need to take in light of what the Spirit has shown you? Finally, look for promises that you need to believe (2 Pet. 1:3-4). Think through what aspects of the gospel are present in the passage and how God wants to change you through it. God made us to be in community with each other. He makes us part of the body of Christ and calls us to be a light to those around us. God has placed people all around us that we must interact with: family, friends, coworkers, classmates, neighbors, etc. Some are believers, others are not. Regardless, the Bible has much to say about how we should interact with others (e.g., 1 Pet. 2:11–25). Since conflict in this fallen world is inevitable, consider what the passage teaches about reconciling with others. God calls us to “live peaceably with all” if possible (Rom. 12:18). Is there someone you need to reconcile with or help reconcile with someone else? The Bible often shows and tells us ways to serve and care for others. Look for both direct commands and examples of caring for others, such as David’s kindness shown to Mephibosheth (2 Sam. 9:1–13). Remember, the ultimate goal of reading the Bible is to have our lives transformed by God so we resemble our Lord Jesus. Asking these four simple questions focuses our attention on the main message of the Bible and prepares us to apply biblical truths to our lives in meaningful ways. Why not try it out for yourself? Download a free Bible study cheat sheet featuring the four questions explained above as well as four additional questions intended to help you apply God's Word to your life. Then print it out and stick in your Bible for easy reference!